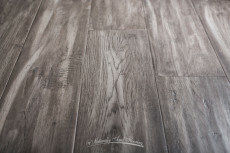 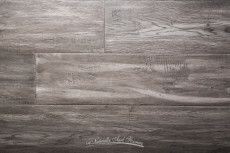 Naturally Aged Flooring's Saint Moritz is a truly unique hardwood floor with a striking light to mid tone grey color that would suit most decorating styles. 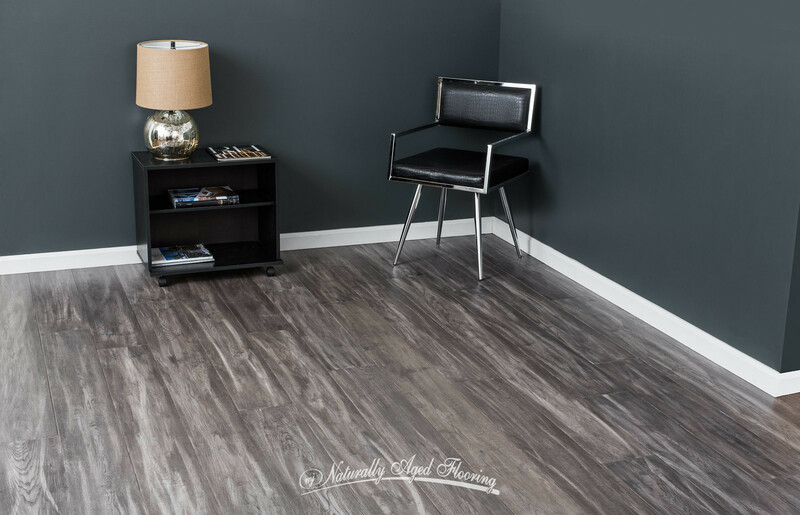 Flooring sets the tone for your home, and this engineered hand-scraped hickory hardwood will give you an elegant, neutral base. 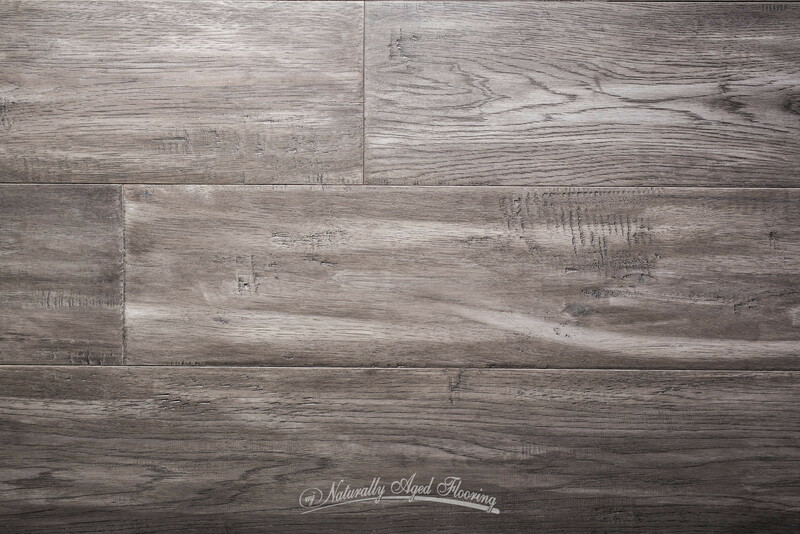 Saint Moritz has tremendous character thanks to its distinctive stain and distressing. 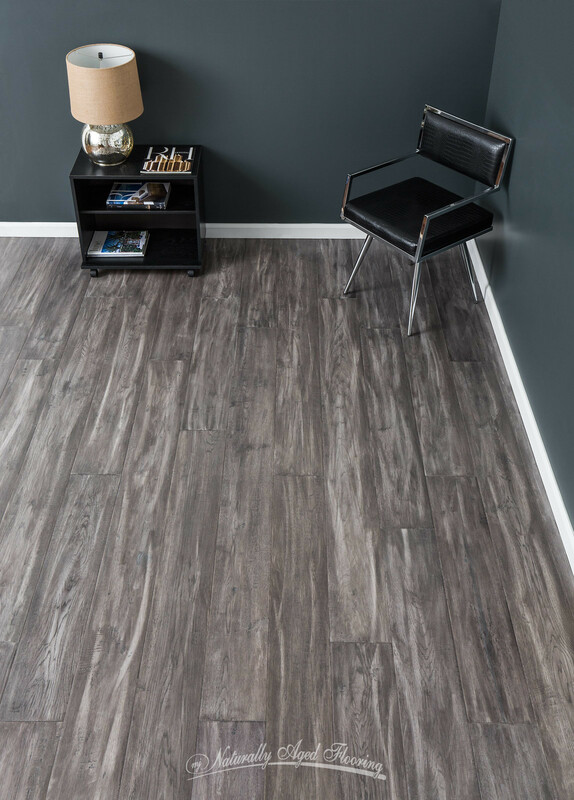 This floor has medium to heavy chatter, light wire-brushing, hand-scraping and a minimal number of knots with black fill which gives this floor depth and character. The wide planks will give your home a modern feel. 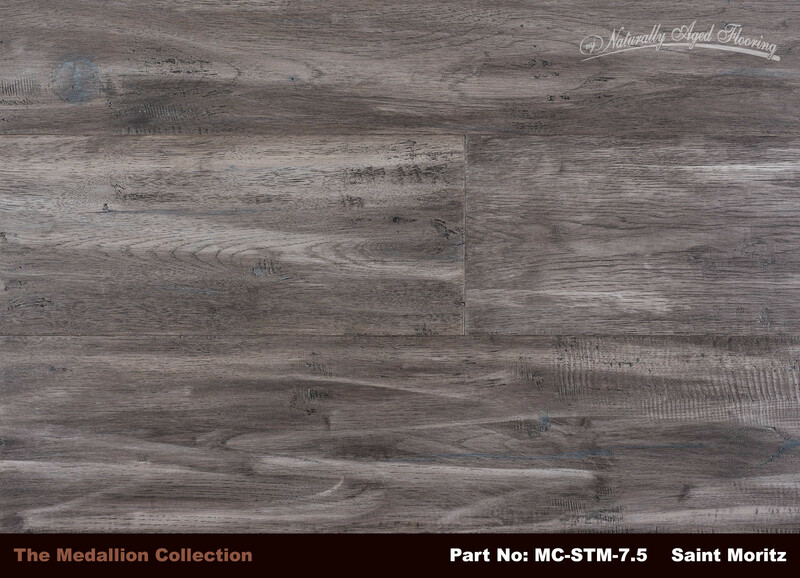 Thanks to this flooring's medium sheen UV lacquer finish, it will easily hold up to an active household. This floor can work well in a sleek modern environment with its clean lines, minimal decor, reflective surfaces and warm neutral colors. 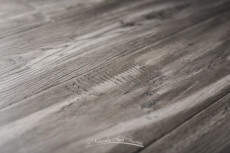 It will enhance the decor with its calm, uncluttered style. 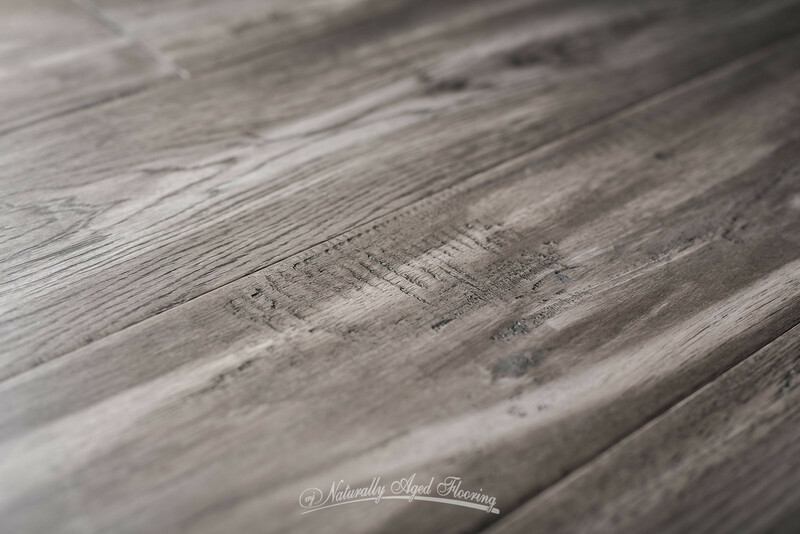 Saint Moritz would be beautiful in a Hampton's chic style with all the splendor of high ceilings and white walls, chandeliers and plush upholstery, offering both luxury and the comfort of a beach house. 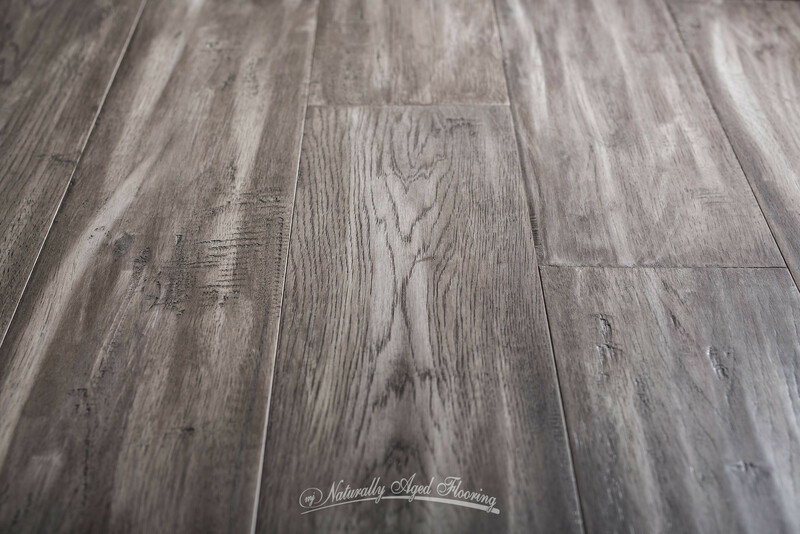 Saint Moritz flooring would be interesting in a Boho Chic design, mixing the old with the new, using bright colors displayed alongside decor pieces acquired while traveling, in a style that speaks to an adventurous and carefree spirit. 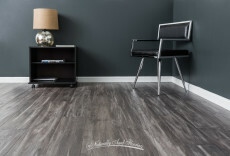 Whether in an urban commercial or residential space, Saint Moritz hardwood flooring would look spectacular in an environment with revealed brick and duct work, an abundance of natural light to give the space and open and airy feeling, or even moodier lighting, like Edison bulbs, adding a dash of drama and retro charm. 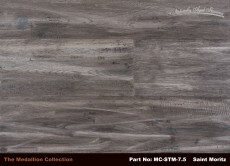 Whatever design direction, Saint Moritz will surely aide in any beautiful expression of style.